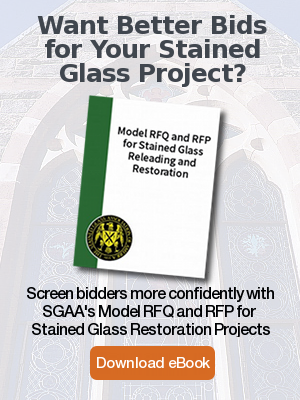 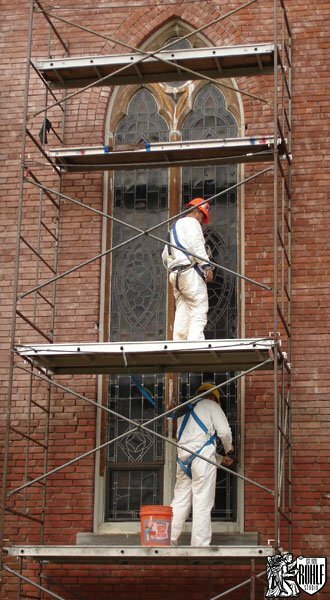 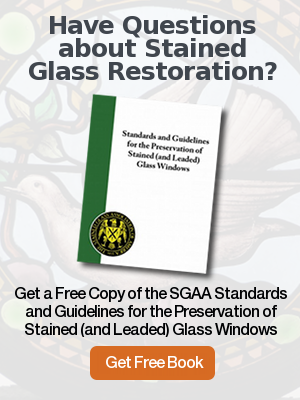 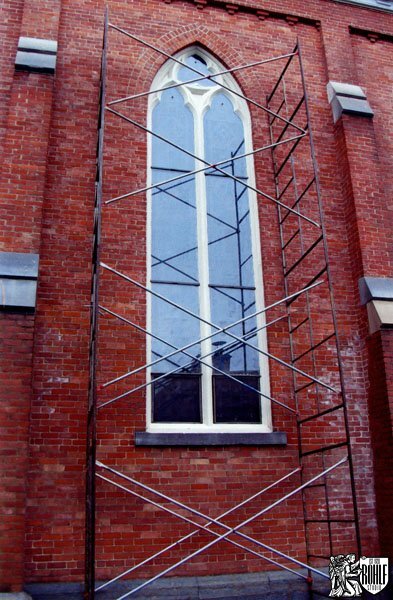 Rohlf’s Studio completed the total wood restoration and installed new vented protective glazing at St. Mary’s Catholic Church in Glens Falls, NY. 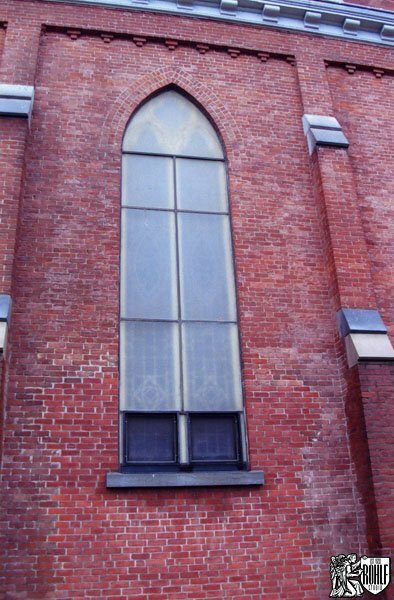 View of window before Rohlf's Studio completed the total wood restoration and vented protective glazing at St. Mary's Catholic Church in Glens Falls, NY. 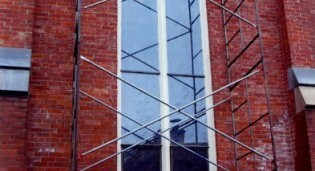 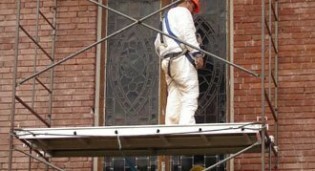 View of window during total wood restoration by Rohlf's Studio at St. Mary's Catholic Church in Glens Falls, NY. 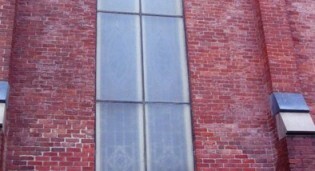 Window after total wood restoration with new vented protective glazing installed by Rohlf's Studio at St. Mary's Catholic Church - Glens Falls, NY.